Forget that lousy selfie…stop procrastinating and get a solid professional headshot taken at work. 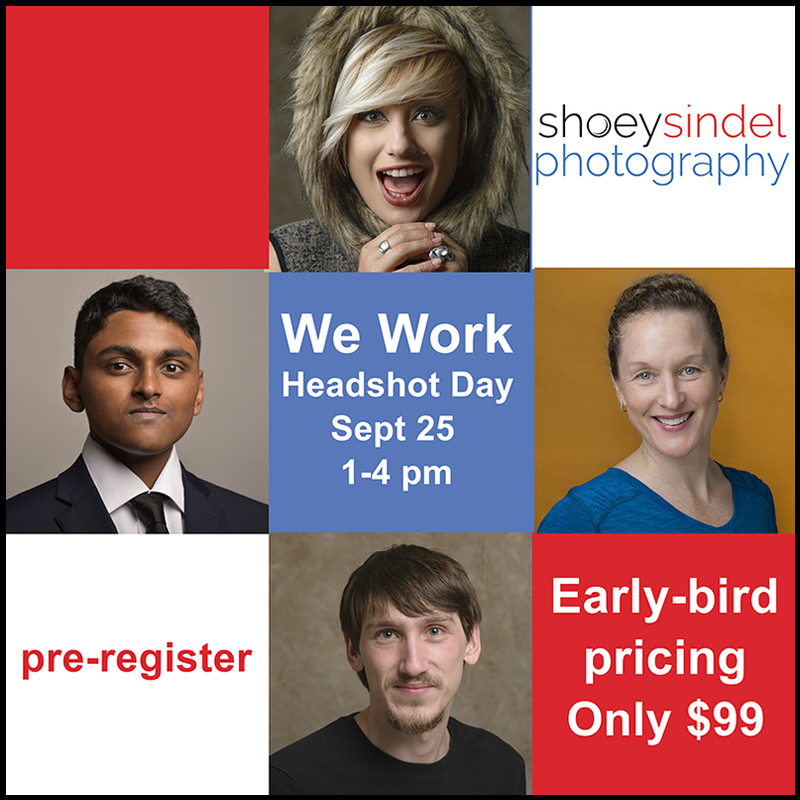 Professional photographer Shoey Sindel is providing the Berkeley WeWork community an opportunity to get a shiny new headshot at a great price! Headshot day will be Tuesday, September 25 from 1-4 pm in the Berkeley WeWork building. Pre-register by Sept 20th and get the Early-bird Special of just $99 for a session and 1 digital file. You can get a single headshot or bring the whole staff up to 6 people for a group shot. Click HERE to register for your headshot. Please contact Shoey at 510-917-0659 for details or with questions.